In this week, campers will design vehicles in sketches and 3D forms as we learn some Industrial Design processes. Campers will bring their visions to life as they iterate their design concepts and create model cars that they will race at the end of week showcase. Working in teams, they will create chassis and power trains using a variety of power sources (rubber bands, balloons, and mousetraps). They will also work in teams to create the body shell to cover their vehicle models. Along the way, they will be learning new building skills and learning physics principals such as drag, gear reduction, load, torque, friction, potential energy and kinetic energy. Other design opportunities will be exploring wheel diameters and tire materials. And, of course, campers will be putting their own artistic flair to their creations in creative paint finishes and vehicle body design! 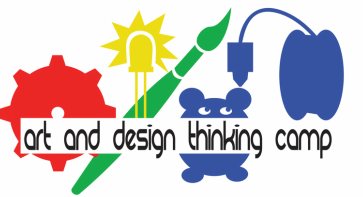 -What is Design Thinking? Introduce team build project of developing car chassis and body to be later raced at end of the week. Fast paced design and prototyping with initial discussion on the science of movement and materials. Warm Up: Lesson on sketching with pencil and/or pen, color pencil, and marker. -5 in 5 activity which is 5 min to sketch 5 concepts. Parameters for focus each round of what to sketch for each round of 5 in 5 is given at the start of each round. Attaching body to chassis. Testing full car and making adjustments. Teams present their cars and how they work. Warm Up: Teams perform final prep work to vehicles to get them ready for the race challenges. -Race time! Challenges: Longest distance. Endurance (longest running). Ergonomics (user's ability to get car wound up and ready)-This will be tested through relay race of cars running from teammate to teammate. Speed. Craftsmanship and execution of body and chassis. Robustness (determined by the team with the least amount of “breakdowns” by the end of the races). Tracking (this is a straight line obstacle course where teams aim their cars between a few cones.